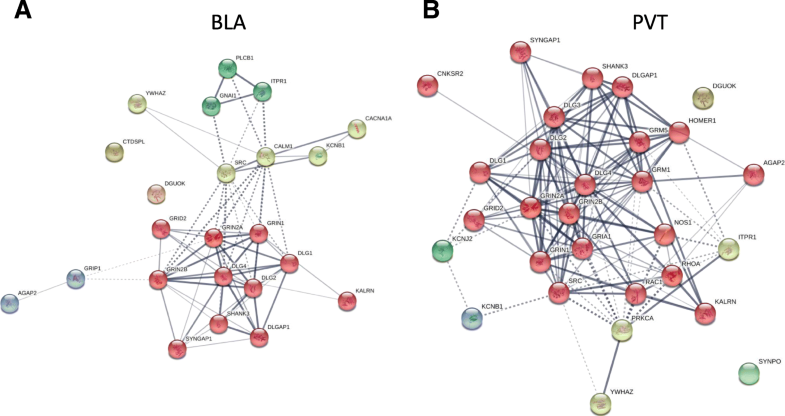 In contrast, R5 altered expression in about ten times the number of genes in regions of the brain linked to high-level analgesia networks – the BLA and PVT [11–15]. This was supported by the gene transcription network analyses, which showed no significant enrichment in ketamine and R1 animals. 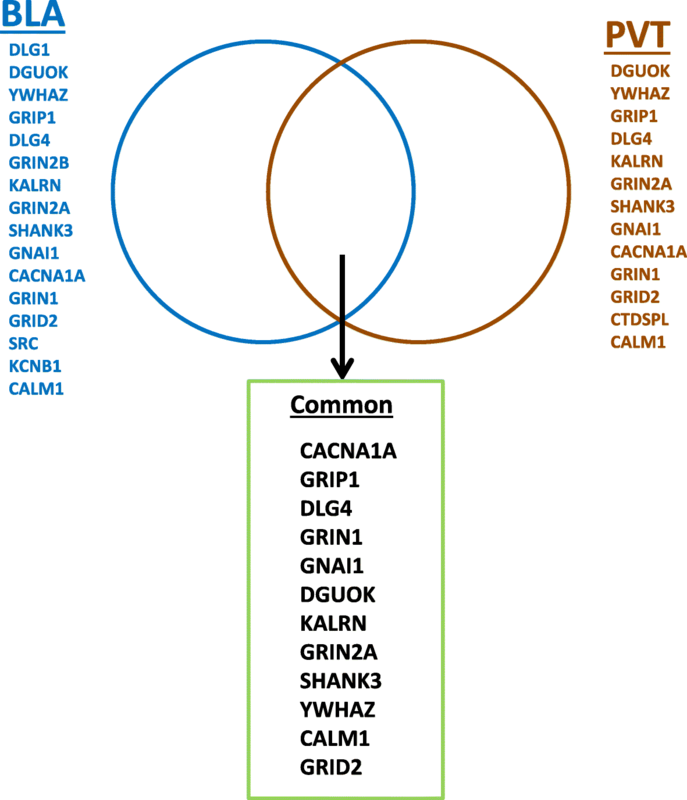 The main effects of R5 were on the expression of various genes controlling the function and structure of glutamatergic synapses; both as regards release of neurotransmitter, configuration of postsynaptic AMPA receptor, and the underlying cytoskeletal scaffolding and alignment. These proteins are components of the postsynaptic density network that connects many membrane proteins, including the excitatory neurotransmitter receptors NMDA, AMPA and mGlut, to the actin cytoskeleton. 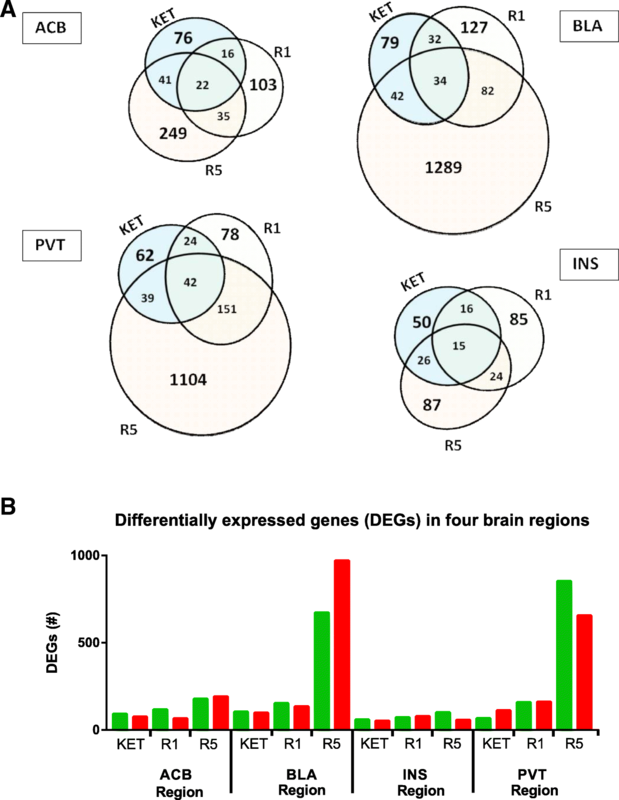 The association of ketamine with dysregulation of genes involved in postsynaptic density has been reported previously [19–21]; and Yang and colleagues  observed increased dendritic filopodia after 4 h of anaesthesia with ketamine-xylazine. Furthermore, the anaesthetic effect of halothane is enhanced in mice following disruption to PSD95-PDZ2 with intraperitoneal injection of a Tat-PSD95-PDZ2 fusion protein . 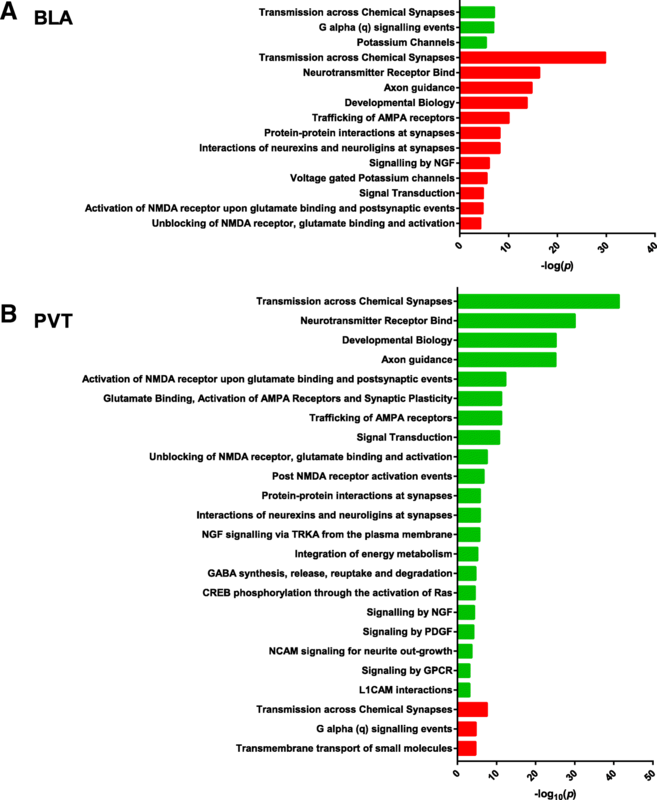 These studies highlight that cytoskeletal protein networks represent a novel anaesthetic target, disruption of which could have functional implications. Changes in the expression of scaffolding protein components of this network are associated with synaptic plasticity through regulation of receptor localisation and distribution , and interactions between PSD95 and NMDR subunits GRIN1 and GRIN2, and between PSD93 and AMPAR are particularly important . The postsynaptic density network also mediates the efficiency of neurotransmission possibly through arrangement of so-called ‘nanocolumns’, aligning pre-synaptic neuron regions rich in secreted neurotransmitter-containing vesicles with the receptors of the postsynaptic neuron .